One of the most iconic revolutions that has shaped the Modern World is the French Revolution. People keep talking about it all the time, references are made, but with all that said, how much do we actually know about the revolution? This is a short history about the 18th century event from Hourly History. The book starts mentioning the class system in France and how it is designed in a manner in which the Clergy and Aristocracy would always be in a position to oppress the working class. Moreover, the lavish lifestyles of the royalty and their decision to live in the far off Versailles rather than the city kept them even further away from the reality of the lives of ordinary people. Added to that, with the renaissance in Europe augmented by philosophers such as Rousseau, Marat and Robespierre, a revolution to overthrow the regime was just beginning. 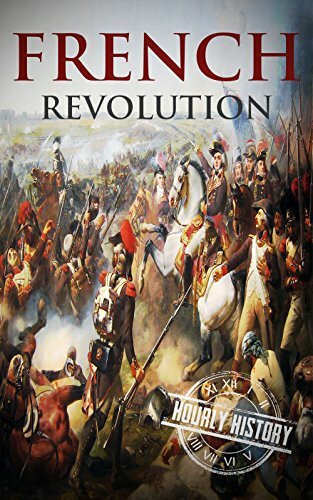 The book covered all the aspects that were necessary for the reader to understand a gist of the French Revolution – starting with the events leading to the revolution, the alienation of the king, the success of the revolutionaries, the brutalities of the succeeding government and the eventual takeover by Napoleon. This book also covered the reaction from the other kingdoms of Europe. I also liked it as to how the book did not try to absolutely glorify the revolution and brought out the misdeeds of the revolutionaries as well. However, they could have been a little more elaborate about the philosophies that inspired the rebellion. This book was in fact a few pages shorter than the normal length of books that comes from Hourly History. 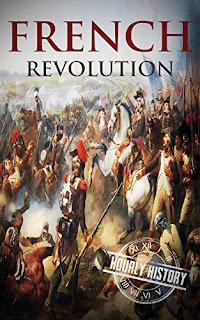 Overall, it is a good read for those who want a glimpse of the French Revolution and I award the book a seven on ten.